Bhasha Official Blog: Bhasha's 4th Sinhala Android app, Bhasha Viyunu (beta) Mobile Sinhala Blog Reader launched! Bhasha's 4th Sinhala Android app, Bhasha Viyunu (beta) Mobile Sinhala Blog Reader launched! We are so glad to announce you that today we launched our 4th Sinhala Android app on Android Market. It's Bhasha Viyunu, a Mobile Sinhala Blog Reader for Android. 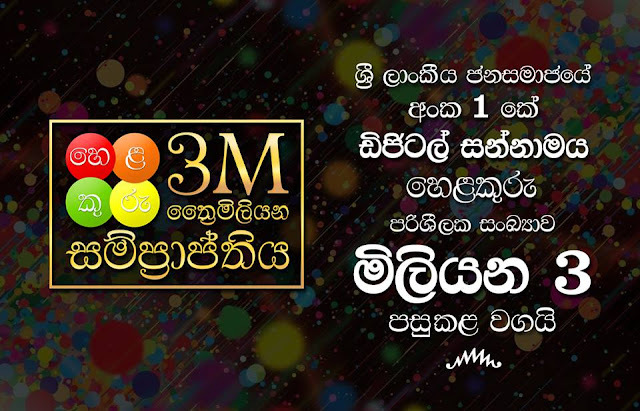 We are so happy that Bhasha Viyunu is the First & Only Sinhala Blog Reader currently available on Android Market. The initial release is just a beta version in order to identify the requirements & demands of Sinhala blog readers. The beta version syndicates latest posts from 50 random Sinhala Blogs. Users have the option to suggest Sinhala blogs that need to be added to or remove from Bhasha Viyunu blogroll. The full version of Bhasha Viyunu will be released as a fully customizable blog reader where users can make their own blogrolls & customize the syndication method in different ways.